Thanks u! The probblem was solved. Thank you for this post. Unfortunately the method in this post only applies to boot from a full shutdown, but not resuming from sleep. It also did not address the situation of cold boot on battery and resume from sleep on battery. 2. 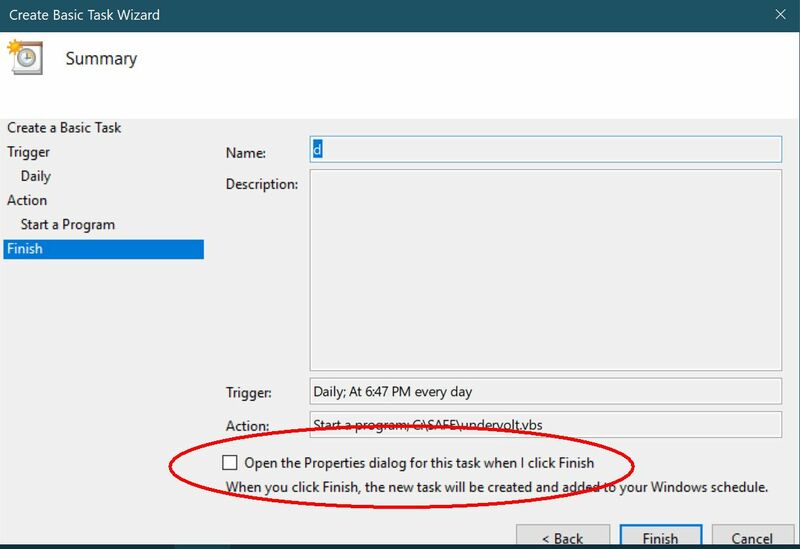 Follow step (7) to set up task scheduler to run .vbs script on boot from full shutdown. 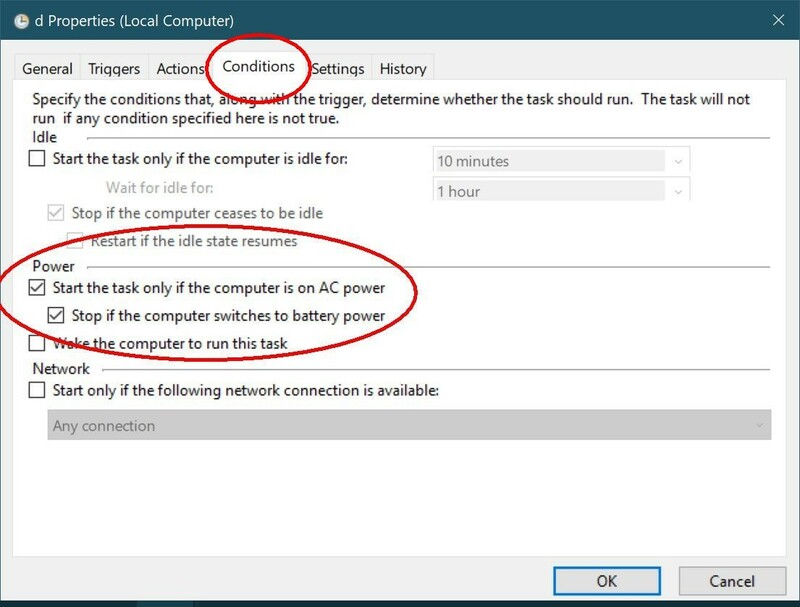 NOTE: I did not find any difference whether to choose "run only when user is logged on (or not)", and whether the task is configured for "Windows 10" or "Windows Vista / server 2008"
(C) Under "Conditions" tab, uncheck "start the task only if the computer is on AC power" and click "OK"
After all changes made and all "OK" buttons pressed, you shall be prompted to enter password to verify these changes. 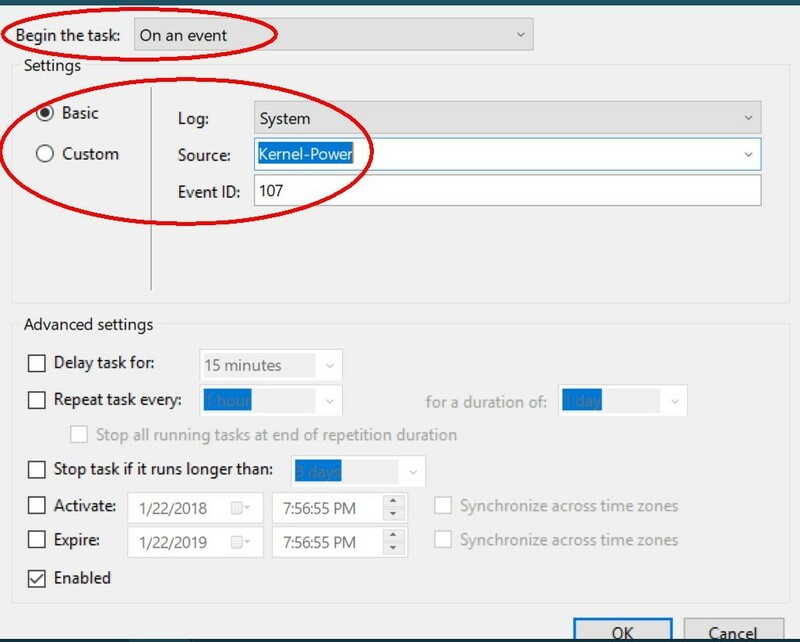 1) In task scheduler, click "create task"
2) Under "Trigger" tab, click "New"
3) "Begin the task" - choose "On an event"
I did extensive testing of these tasks. My XTU undervolt numbers are -0.06V for CPU / cache and GPU (Core M 7Y30). I use CPUID HWMonitor to confirm voltage settings. I also tested the .ps1 and .vbs scripts to make sure they work properly by running them in command prompt and powershell respectively. To test the scheduled tasks, I use XTU to remove undervolting and revert to default (-0.00V), shutdown or put the laptop to sleep (I do not use hibernate), then reboot / wake from sleep to let the undervolt script run. 2) The tasks do not work when the laptop is unplugged on battery power only (both boot from shutdown and wake from sleep don't work). However, I found that if I set the undervolt numbers by XTU, then perform the shutdown / reboot or sleep / wake while the laptop is unplugged on battery power only, the undervolt settings would always stick. I have been testing this everyday for three months and no faults so far. Relying on XTU alone without the scripts and scheduled tasks, the undervolt settings did not stick in 30% of instances, mostly wake up from sleep. eli2k and hmscott like this. I'm still playing around with this, but on my laptop I always type password to login after waking up from sleep. There is Security-Auditing 4624, which means a successful login, that I think we can use as an additional check to run the script. Thank you ThatOldGuy. I just set this up on my HP Spectre x360 Kaby Lake refresh on the Fall Creator's update, and it is working perfectly. I'm undervolting for thermals. It helps. I configured two triggers in the Task manager-- on Initiate Session and Unlock Workstation, and the task runs after waking from sleep and returning from hibernation. I would get unpredictable results running the XTU directly. Sometimes it would change the System Agent Offset and GT Agent offset values without me asking it to. This script avoids that problem as well. Perhaps this is a bug with XTU and the new CPUs. In any case, this solution ideal. One of the best things about Windows is PowerShell. Why is this necessary? Just add a shortcut in "shell:startup" or as mentioned here configure the service only to run on startup. This seems waaaay needlessly overcomplicated. Am i missing something? if you purely want VBS script, the full code list for settings are on page 5 in this thread, and just overclocking settings on the first page of @tetraguy's guide (right after step 12). Wait, Yup I am missing something, or Yup it's that simple? Haha I don't understand your reply. Ok definitely fixed it now. Here's the deal you do not need a trigger nor do you need powershell or any script. Go into XTU, configure your undervolt and save your profile. Once this is done go into task scheduler, add a new task, add from the XTU folder the "XTU Service". 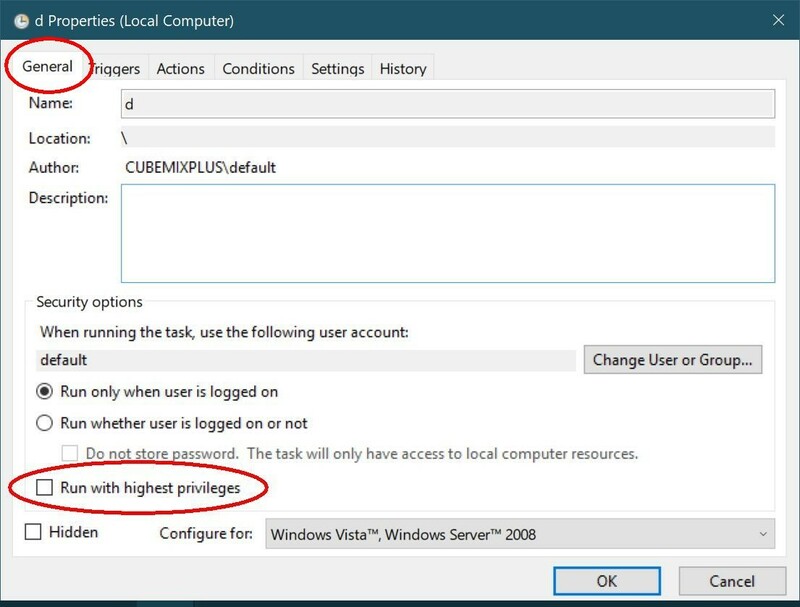 No triggers are needed, select option "run only when users are logged on" and "run with highest privledges". If you want a comparison look at how AW Command center and AW surround sound are configured. Once the XTU service is loaded XTU will automatically set the undervolt profile saved in it. I've tested this with multiple shutdowns and reboots and logouts. So far my profile has "stuck" every time. I am using HWInfo to monitor voltage and am not directly opening XTU in any way. Let me know if that works everyone! LUCKASS and hmscott like this.